Robert Pattinson has come leaps and bounds since his role as Hufflepuff hero Cedric Diggory in the Harry Potter series. His latest movie debut, Good Time, released in the U.S. on August 11th, and attracted the attention of the leaders in the movie industry with his portrayal of a bank robber in the thriller by the Sadfie brothers. 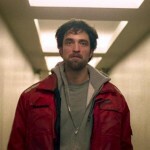 Speaking on Pattinson’s performance in Good Time – which received a six minute standing ovation and a nomination for the Palme d’Or at Cannes in May – the Sadfie’s attribute the Potter alum’s dedication to his character to the film’s success. HuffPost describe this as ‘his fiercest performance’ yet. The brothers took Pattinson in character to supermarkets and subways in Queens, but he was never recognized. “He embedded himself into the role and dove head-first into it all,” Josh says.? Given that the action is mostly seen from the point of view of Pattinson’s character, his immersion was essential. The audience is with him, at his speed, which is often a breakneck and white-knuckle pace. So, that’s a “no thanks,” right? Have you seen Good Time yet? Let us know what you think!